Metallica’s thundering drums, heart-pounding guitars and anguished vocals tell the story of people lost in the hustle of modern society. Bluegrass music sings the tale of people stuck between heaven and hell, the farm and the city and love and hate. In many ways Metallica and bluegrass are brothers, one raised in the urban jungle and the other in the country. So what happens when these two estranged siblings get together? 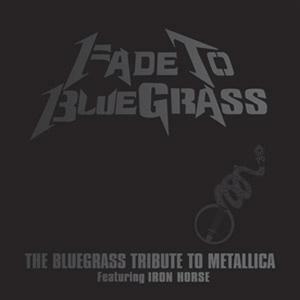 FADE TO BLUEGRASS: THE BLUEGRASS TRIBUTE TO METALLICA has the answer. Banjo and mandolin replace electric guitars and high lonesome harmonies soar in place of growling vocals to create a surprising and moving tribute. Performed with passion and skill by Alabama bluegrass band Iron Horse, and featuring classics such as “Unforgiven,” “Enter Sandman” and “Fade to Black,” FADE TO BLUEGRASS: THE BLUEGRASS TRIBUTE TO METALLICA is a family reunion between brothers heavy metal and bluegrass.